Five reasons why you should book Glenna Hecht for your event!! 1. The “real deal” – Glenna has held executive HR and training positions in world renowned brands and has “seen it all”. 2. Attention grabbing stories—She shares real world examples and situations that her audience can relate and refer to in their everyday business and personal lives. 3. High energy and Inspiring—Grabs your attention from the start, and stimulates the audience with music, style, humor, along with great, high value information. 4. Information with impact – Every presentation includes practical tools that can be immediately applied to increase performance and productivity. 5. Customized – Every presentation is crafted for the audience and industry. 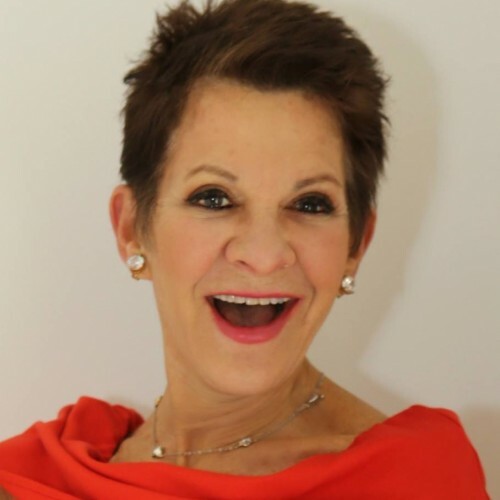 On what most would consider mundane topics regarding important issues faced in the workplace, Glenna shines at delivering keynote presentations and workshops with dynamic style, enthusiasm, humor, real world business stories, and—at times—a relevant song. Glenna has a wealth of executive industry experience in HR, Training and Development working with world renowned brands, such as: Starbucks, Marshall Field’s, and The Levy Restaurants at Walt Disney World, Accenture and Romano's Macaroni Grill. Her energetic, authentic, down to earth style allows the audience to easily engage in the session and leaves them well informed, entertained, and able to immediately apply the information in their professional and personal lives. She has presented to international, regional and local audiences from dozens to thousands in all types of businesses, associations, and not-for-profit organizations.Clients include; Buffalo Wild Wings, Pepsi, World Ventures, Wingstop Restaurants, Goldman Sachs, and a host of others. Glenna is regularly featured in the leading floral industry magazine, Floral Management Magazine, as their resident HR Guru offering guidance and solutions to real life concerns faced by growers, distributers and retailers. She has authored the book Profits from the Inside Out that offers techniques for creating enthusiastic employees and lifetime customers. She also authors the blog “What the Hecht?” that gives its readers great advice on real world leadership and human resource issues they face on a daily basis. Find out more about Glenna Hecht at http://www.glennahecht.com.